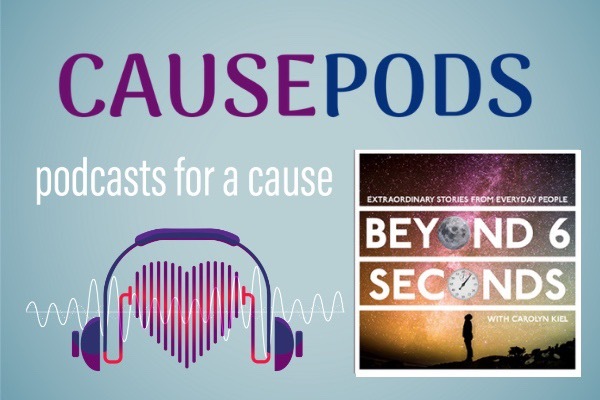 Today our guest is Carolyn Kiel, who is the host of Beyond 6 Seconds and she is here to tell us all about her own journey since starting a podcast just over a year ago. Beyond 6 Seconds is focused on showcasing people’s unique stories and how they have learned from their situations. For Carolyn, the podcast is a great way to pass on information and underline the work and lessons that her circle of friends and guests can share. What started as a way to bring together her own interests, skills, and curiosity and help individuals she knew, has now become a great platform for the trading of ideas and personal narratives. We would love to support Carolyn by raising money for her charity of choice, She's the First. She's the First fights gender inequality by supporting girls who will be the first in their families to graduate high school and by training students everywhere to be global citizens.